A client commissioned me for a large acrylic in this design. It’s easier to design on paper than canvas, so I drew this design up before transferring it to canvas. The client kindly allowed me to use the drawn design in water colour with a few differences and a different colour scheme. I like this image as it includes lots of things that are important to Palmerston North that I don’t have in any other images. 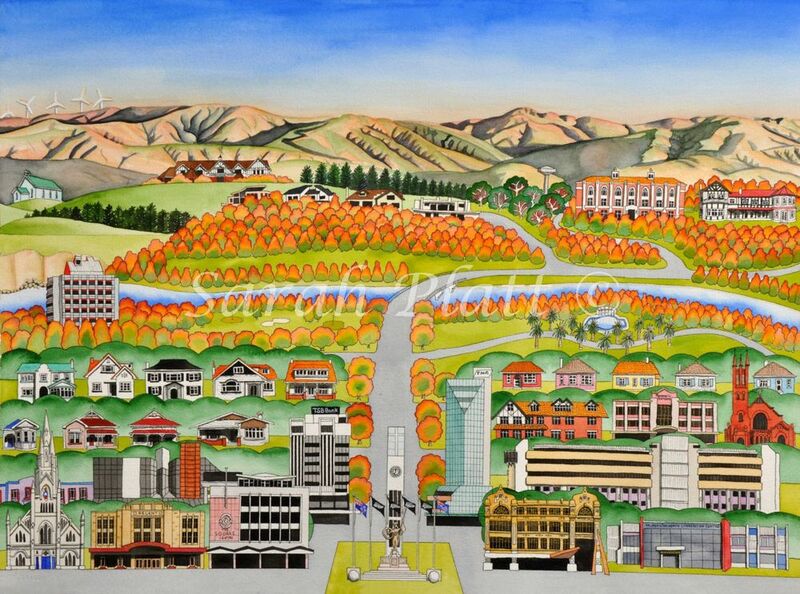 I finished the painting the year we won the Rugby World Cup, so spot the All Black silver fern flags in the Square.